Toolkit for Life Vol. 2 includes the following titles: How To Be Alone How To Develop Emotional Health How To Deal with Adversity * currently reading How To Connect with Nature * How To Think About Exercise * I am not reading them in any particular order, just what becomes free on the Auckland Library Borrow Box kindle service. And of course I enjoyed some more than others. 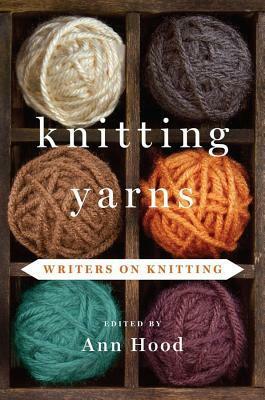 I usually have a few books on the go so I am also reading Knitting Yarns, Writers on Knitting, a collection of short stories edited by Ann Hood. My son gave this to me for my birthday and while I am not usually a great fan of short stories I am loving it. So much so that I went to the library and and got out Ann Hood’s The Knitting Circle. I tend to enjoy Canadian writers more than American writers but I am enjoying this and it is keeping my attention. It also inspired me to finish another square of a blanket I am knitting. What comes across strongly is that knitting has a meditative, soothing quality that helps calm and comfort.